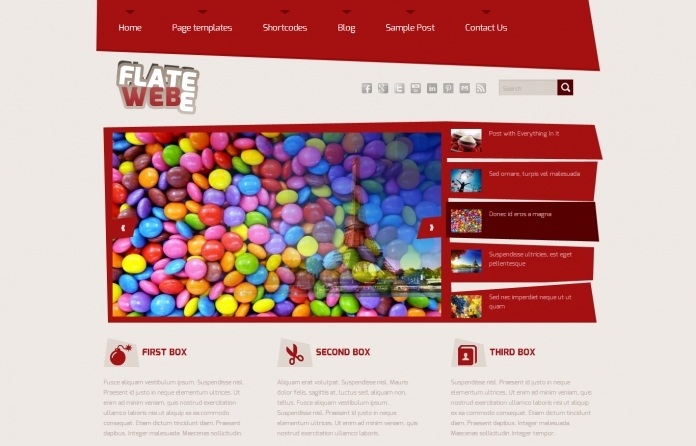 Flatee is a modern and original theme created in two dynamic shades of red. The flaming colour and restless graphic shapes amazingly energize the design. 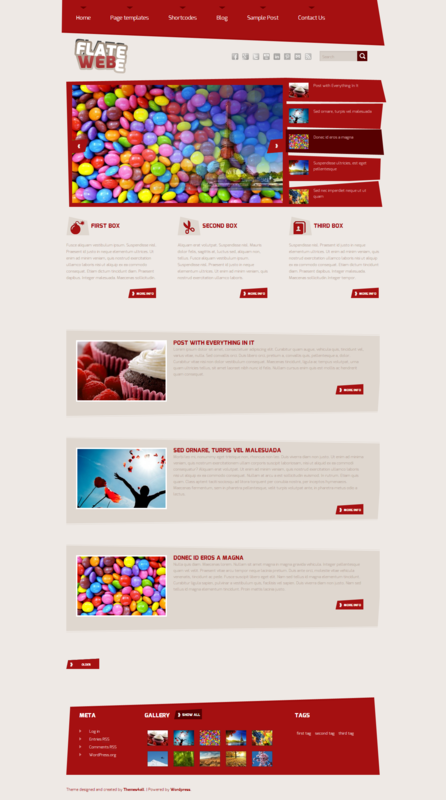 This theme will let you provide your visitors with information in an energetic and lively way.